During Labor Day weekend my three coworkers/friends and I traveled from Los Angeles to Palm Springs. All of us work in advertising at BCBG Max Azria. We stayed at the Ace Hotel for two nights. The hotel has a terrific pool, an amazing bar and is decorated with authentic vintage décor complete with an old school photo booth in the lobby. 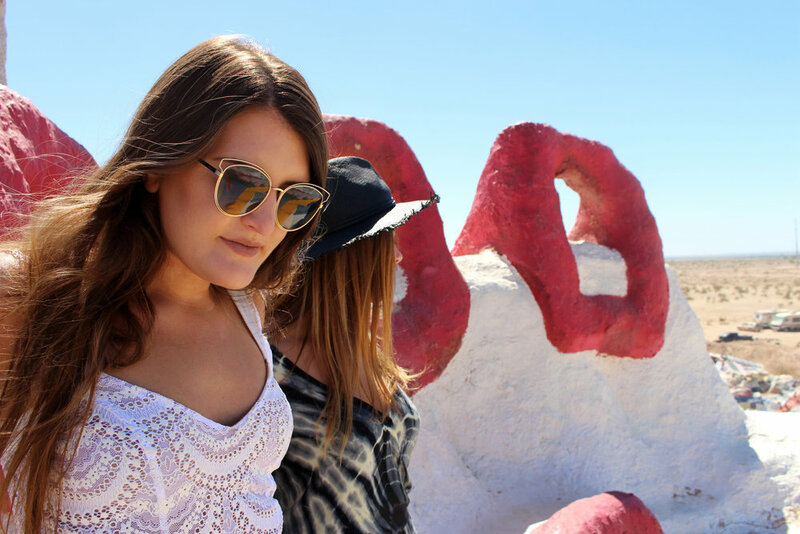 On Sunday we took a day trip to Salvation Mountain located in the Colorado Desert. The drive took about an hour and a half. 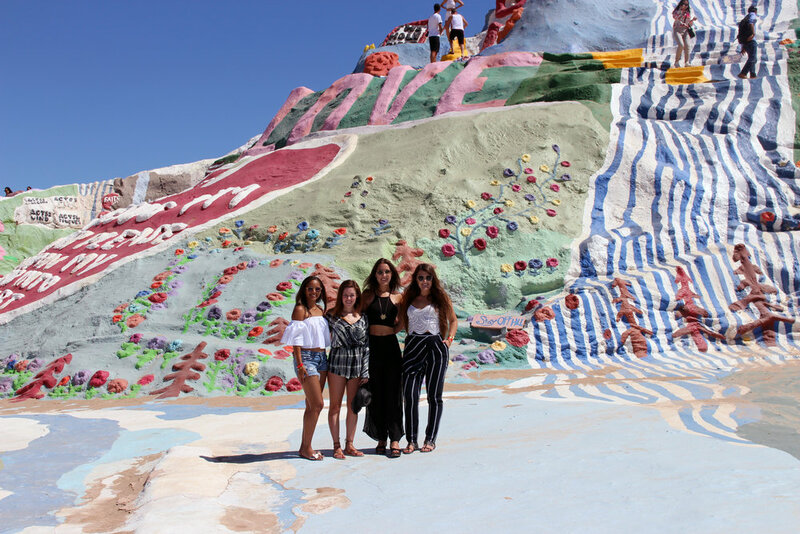 I originally discovered Salvation Mountain while watching the movie Looking For Alaska many years ago. I always wanted to see it in person, so the ability to check it off my bucket list felt great! Salvation Mountain is both strange and beautiful. The bright hand-painted “mountain” lies in great contrast to the surrounding simple and monochromatic desert. Leonard Knight created the sculpture as a “tribute to God” in 1931.